Send get well wishes in the sweetest way with a gift of handcrafted artisan truffles. 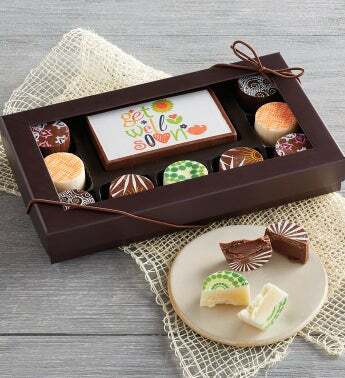 With incredible flavors like dark chocolate champagne, milk chocolate amaretto, and white chocolate orange, this gift is the perfect way to cheer up a friend or loved one who isn't feeling their best. These flavorful truffles are accompanied by one Belgian chocolate that reads "get well" to express your sentiments.